Clinic Synopsis: Modern students are exposed to electronic music every day both in person and online. This session focuses on introducing basic electronic music and midi controller techniques to the music educator. Once the educator has entertained the possibilities of embracing an electronic music component within their curriculum, they will possess a relevant means to further engage the students in the classroom. Eldridge will provide multiple set-up ideas for both laptop and/or tablet connectivity. 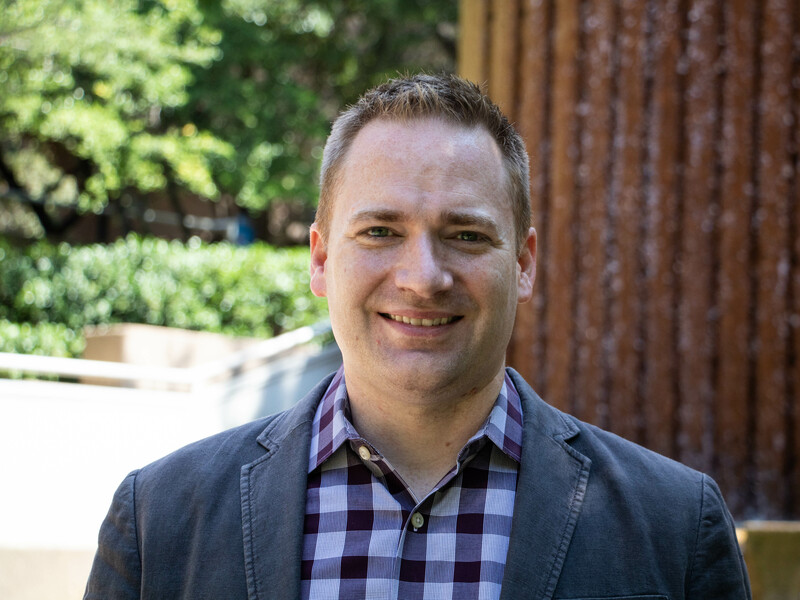 Clinician Biographical Information Dr. Andrew Eldridge is Senior Lecturer of Percussion and newly-appointed Coordinator of Percussion at the University of Texas at Arlington. Under his direction, the UTA Percussion Ensemble was recently selected to present the New Literature Session at the 2017 Percussive Arts Society International Convention (PASIC). The ensemble also performed a Showcase Concert at the Texas Music Educators Association (TMEA) annual convention in February 2017. Andrew serves on the Percussion Ensemble Committee for the Percussive Arts Society. He served a three-year term on the Lone Star Wind Orchestra Board of Directors and has been performing with the group as a section percussionist since 2009. Andrew presented clinics on crowd-funding at the 2013 Midwest Clinic and 2014 Texas Music Educators Association annual convention, and recently presented a clinic called "Launching the MIDI Controller into the Music Curriculum" at the 2018 Texas Music Educators Association annual convention. An avid performer of new music, Andrew has individually commissioned and given the world premieres of music written for percussion by Dan Welcher, Kyle Kindred, Dwayne Rice, Martin Blessinger, Ryan George, and David Maslanka. The UTA Percussion Ensemble commissioned and gave the world premieres to music by Nathan Daughtrey, Francisco Perez, and Michael Varner. Additionally, he was a finalist in the 2012 and 2014 Southern California International Marimba Competition, a semi-finalist in the 2013 Great Plains International Marimba Competition, and awarded 2nd place in the 2002 PASIC International Multi-Percussion Competition.